1.) I'm interested in getting started but I'm afraid I may not be able to keep up. What can I do to prepare on my own before coming for my first workout? Nothing! Trust us, and most importantly, trust yourself! What we do here is unlike anything you have ever done or probably ever will do again anywhere else. However, just be aware of the fact that something new doesn't equal something impossible. We understand that not everyone is coming to us to become an athletic superstar, so our goal is to make you the best you can be based on your limitations. We're not here to give you insane tasks to complete and make you puke or pass out, we're here to help you train to your fullest potential as an individual...whatever that might be. Our mission is to help you test your limits, help you see how far you can go, and then expand your capacities over time. We've got men and women of all shapes and sizes with ages ranging from 14 to 66. If they can do it, so can you! All we ask is that you come to us with a positive attitude and be ready to work for what you want...we'll take care of the rest! 2.) How do I get there? CLICK HERE for directions. We're also conveniently located a short walk from the Harrison Metro North Station. We're just minutes from Pelham, New Rochelle, Larchmont, Mamaroneck, Rye, Port Chester, Greenwich, Cos Cob, Riverside, and Stamford! 3.) 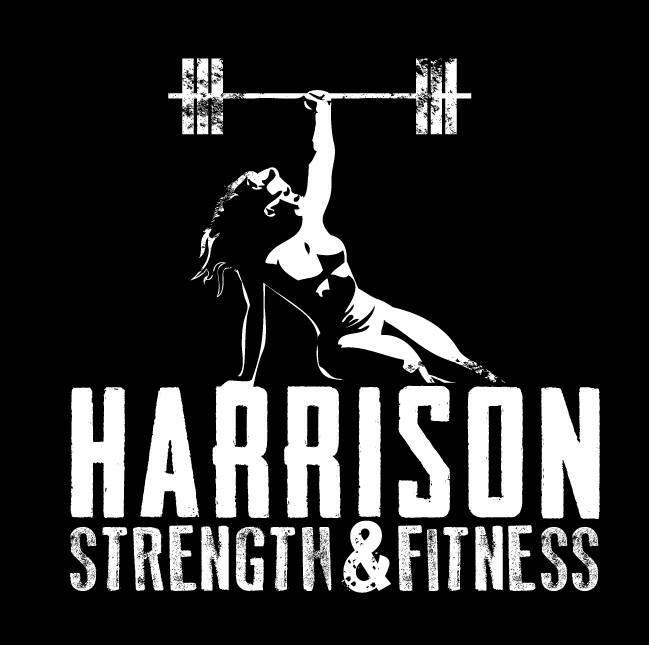 What is different about Harrison Strength & Fitness? The primary difference between us and similar gyms is that we provide numerous outlets for athletic development. Essentially, instead of following an overall one-size-fits-all approach, we provide the resources for those who prefer to specialize in a particular area or focus on one particular goal (ie., strength training, weight loss, preparation for a specific sport, etc) Everyone has something that they are good at. Our goal here is to find out what that is and make you the best at it that you can possibly be. Of course we will help you improve on your weaknesses, but we don't try to turn individuals into what they are not by forcing everyone into one particular program. If you're into endurance events, great! We have an endurance team that competes in 5ks, 10ks, half-marathons, Tough Mudders, Spartan Races, etc. If you're into strength sports, great! We have a strength team that competes in Strongman and Powerlifting. I think you get the picture here! We create very structured programs with specific adaptation goals in mind as opposed to the constantly varied and somewhat random daily workouts which are typical at most places. While doing something completely different every day may be fun, it may not be ideal for your long term goals (CLICK HERE). We also run much smaller groups than most gyms. Our group training sessions are capped at an absolute max of 15 athletes. Furthermore, we set very high expectations for our members. Here, you won't get a pat on the back for simply showing up. We not only expect you to be dedicated, but we challenge you to raise your personal expectations and truly test your limits. Our coaches are also held to a higher standard as well. While many similar gyms require nothing more than just a weekend certification, our instructors here have numerous years of hand on training experience and are also required to complete continued education courses. 4.) What about personal training? For those of you who prefer to receive instruction in a more personalized setting, our coaches are always available for private sessions! Personal training sessions can be scheduled for any time that best suits your schedule. CLICK HERE for more details! 5.) Isn't it expensive to train with you guys? Every gym is going to be priced differently depending on what you are getting at that particular location. Similar gyms generally range from $125.00 to $250.00 per month depending on what services are offered. If your only goal is to do something different every day and essentially do the same exact workout as 30 other people in a room, then paying $250.00 a month really doesn't make much sense. If on the other hand, you have goals that extend beyond following the same exact program as everyone else, you should definitely expect to pay more than $125.00 a month for the option of having something more specific tailored to your needs. In comparison to joining a typical "health club", yes of course training at our gym definitely costs much more at first glance. But consider what you REALLY get for the price you are paying there. Do you have an experienced coach creating a daily program for you? Do you have access to coaching at a moments notice? Does that gym fee include nutritional counseling or one-on-one time with a coach? Do you even know the name of the person working out next to you? Are you seeing the exact results that you want? And are you even inspired to show up to your gym? Probably not! At a typical gym you get a bunch of machines and anything more than that is extra money, right? Most "health clubs" provide the bare necessities and then hope you don't show up. They are banking on you not knowing what to do and eventually not coming in anymore so they can keep taking your money and not have you put any wear and tear on their equipment (CLICK HERE). Paying us $8 to $16 per session (depending on your membership option) for STRUCTURED TRAINING SESSIONS with access to coaches EVERY DAY and actually seeing the results that you want is a very small price to pay in comparison to what you're receiving. Just 1 session per week with a personal trainer at a typical gym would cost you $400.00+ every month (not including a membership fee)! So, expensive? You decide! 6.) Do I have to be an athlete to train here? Not at all! The only two things you are judged on here are your ATTITUDE and your EFFORT. A large number of our members have never played competitive sports or even stepped foot in a gym prior to working with us. Our goal is to help you set realistic goals and be the best you can be within whatever limitations you may have. After your initial evaluation, we'll have an accurate picture of what you are currently able to do and we simply build on that base and expand your capabilities little by little. Over time, you'll be reaching goals that you never may have thought were possible! 7.) Why do you train the way you do? Our primary focus is on becoming the most functionally fit human beings we can possibly be (looking prettier just happens to be an inevitable side effect!). Think about this... Generally speaking, who are the most physically and visually fit people on the planet? Athletes! Have you ever seen a real athlete train? They are not using those comfy little pin-selectorized machines or on the elliptical flipping through the latest edition of Shape or Muscle & Fitness...they are lifting heavy things, sprinting, jumping, using kettlebells, doing plenty of pull-ups and other calisthenic movements, etc. So, if your goal is to perform and look like them, why would you not train like them?! Also, look at it this way, we think it makes much more sense to push a prowler today than to push a rollator tomorrow. 8.) Ok, so what now? Stop reading and CLICK HERE!